The best way to start shopping for a welder is to take advantage of our free test welds to help determine if a transistor welder is the proper weld equipment for your application. We are an equipment and technical support provider for Nippon Avionics ( Avio ) brand of precision inverter welders. At AIT, we have chosen the Nippon Avionics ( AVIO ) line of equipment because we have found that you get more advanced technology, quality, and precision for your money than with other popular brands. We can provide the equipment you need at an economical price, and assist with any technical issues you encounter setting up your welding process. Submit a contact form or call us today to request assistance with your next project. Transistor welders are also known as Linear DC welders. In a transistor welder, energy is stored up in capacitors and released through transistors. This produces a result similar to the high frequency inverter power supplies. The output is in the form of clean square waves with very fast rise time. 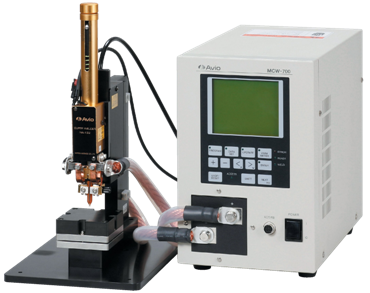 The transistor welders made by AVIO are closed loop designs, utilizing transistor controlled feedback with extremely fast response time, which are able to monitor the condition of the weld using one of three feed back modes, "constant current", "constant voltage", or "constant power". These feedback modes offer great advantages such as better process consistency between multiple weld stations, reduced number of bad welds, and real time automatic adjustment for variations in part thermal loading and plating. 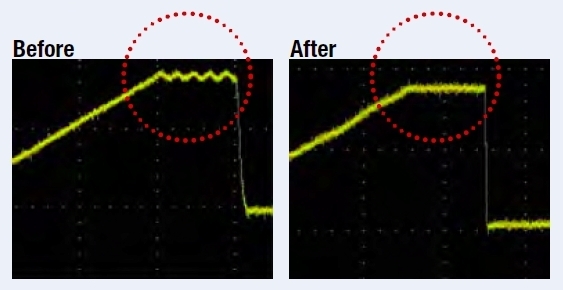 Linear DC welders do not use a transformer. These power supplies have the best low energy control, making them the favorite for welding micro wires and then foils. The major limitation is that the duty cycle is typically much less than one weld per second. The Avio welders we are offering here are premium quality Japanese made welders. We stand by these welders and guarantee our customers support and assistance when you buy an Avio welder from us. All electrodes are manufactured by AIT in our facility in the United States. We can respond quickly to your inquiries or questions. Sunstone has designed a completely unique closed-loop feedback resistance welding system that utilizes new technologies, giving the UC Linear DC welder the power of a High-Frequency Inverter and the precision of a Linear DC. 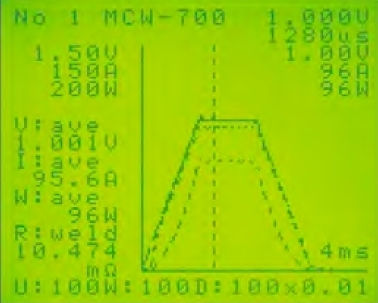 It does not require an external transformer, so it isn’t an HF welder, and it offers a greater range of settings than a typical Linear DC welder, yet is able to perform the same functions as both, and in most cases exceed those of other HF or Linear DC welders – offering high repetition rates, fine low-energy control, and short or long weld times – without drawbacks. The welder is highly adjustable to offer the most convenience to a wide variety of users allowing creation of custom software, ability to update and improve capabilities, features and functions effortlessly. The UC linear DC can also introduce high-frequency agitation that provides additional weld penetration, more uniform metal crystallization, stronger weld joints, and can facilitate stronger weld joints with lower overall heat input. The DC 5 is a precision DC waveform welding power supply, capable of precise power delivery. It has a maximum output of 5 volts, and can be adjusted to deliver as low as 0.1 volts. It has a digital readout that shows the weld length and volts delivered. The DC 5 is able to deliver up to 60 welds per minute. This unit is excellent for fine wires and metal sheets, such as ribbons. The DC 5 is the perfect choice for control and precision. Sunstone’s micro welding solutions are perfect for microjoining and thermocompression bonding. When bonding small wires or ribbon from one connection pad to another, Sunstone’s new DC 5 - welder in combination with a low-force micro weld head is recommended as an optimal welding setup. Peak weld current and External Cabling Gauge Number (AWG). Four and eight AWG cabling is typically seen when using hand held attachments.